General Motors has recently announced a recall of all 2005-2007 model year Chevrolet Cobalts, as well as the 2007 model year Pontiac G5. The recall, announced in early February of 2014 and which affects roughly 800,000 vehicles in the United States, comes after a number of troubling accidents in which these vehicles were involved. According to internal investigations conducted by General Motors over a period of years, problems with the ignition switch in these vehicles can both increase the likelihood of a crash occurring as a result of an unexpected loss of power and also make it more likely that the airbags will fail to deploy in the event of a crash. As a result, hundreds of thousands of individuals in the U.S. may be exposed to serious injury risks from their vehicles. At the Willis Law Firm, we understand how devastating it can be to cope with the effects of a serious car accident caused by a vehicle defect. 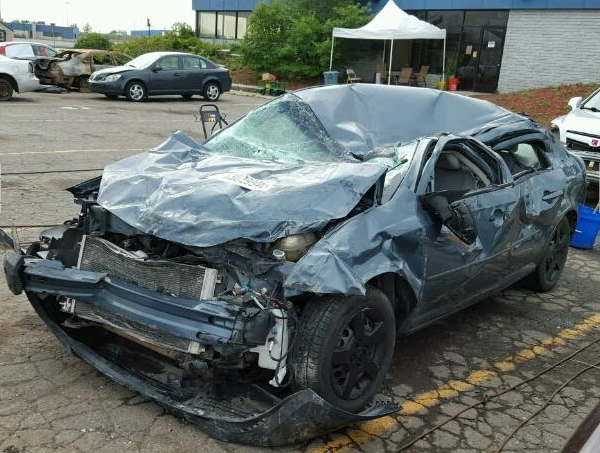 That’s why we are committed to providing those who have been the victims of accidents involving Chevy Cobalts and Pontiac G5s with the legal representation they need to effectively pursue justice. When a vehicle suddenly and unexpectedly loses power, it's unfortunately easy for drivers to lose control of their vehicles, resulting in front-end collisions, side-impact collisions, rear-end collisions, rollover accidents, and single vehicle accidents. To make matters worse, because of a lack of power, should any of these accidents occur, it is likely that the airbags will fail to deploy, exposing the driver and passengers to increased risk of injury. If you or someone you love has been the victim of injuries resulting from defects in a Chevy Cobalt or Pontiac G5, we can help you pursue the justice and financial compensation you need. Contact the attorneys at the Willis Law Firm by calling our offices at (800) 883-9858 to discuss your case and find out more about what we can do for you.